We're so thrilled to announce that there has been so much excitement building around the World Ocean Festival we had to move to a new home in New York City. The World Ocean Festival will officially take place on Governors Island on June 4, 2017. 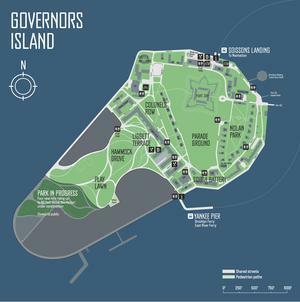 Governors Island is the provides a getaway from the hustle of Manhattan and the perfect backdrop for World Ocean Festival, which will be situated at Picnic Point at the South point of the island. What do you have to look forward to at the World Ocean Festival? and more! We'll announce updates here. Wondering how to get to Governors Island for the World Ocean Festival on June 4th? Enjoy a beautiful ferry ride! They leave every 30 minutes from Brooklyn (Pier 1) & Manhattan (Battery Maritime Building) and are $2 or less.